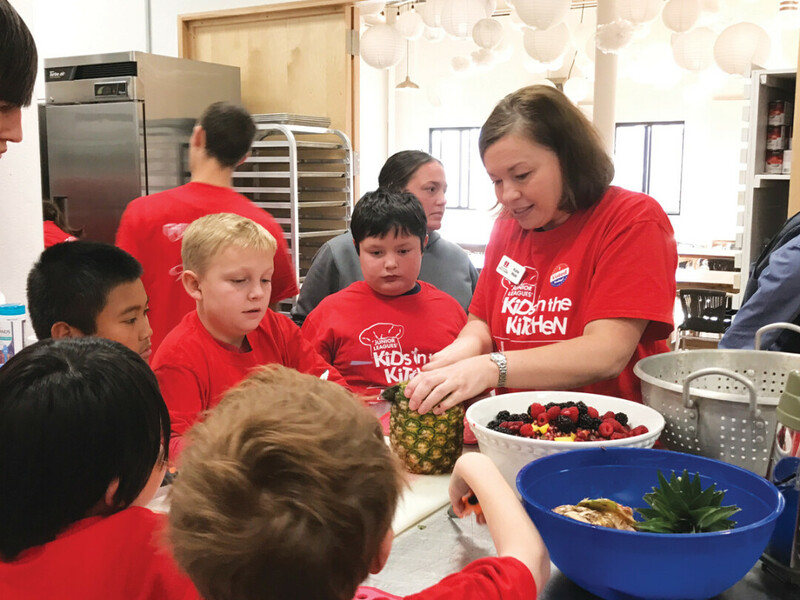 Junior League of EC’s Kids in the Kitchen program. In a combined effort to provide more benefits for kids and families, three of the Chippewa Valley’s nonprofit organizations are coming together and holding a fun and exciting spring fundraiser known as the Giving Gala. By working together, the organizations hope to inspire collaboration and show it can be more beneficial than working apart. All three of the organizations – Junior League of Eau Claire, Camp Manitou, and Girls on the Run – work to provide children in the Valley with more opportunities to grow into more healthy, confident, and happy human beings. The Giving Gala is being held 7-11pm May 19 at The Lismore, and will feature cocktails, appetizers, a silent auction, and local music, including live jazz from Tim Sullivan and Josh Gallagher, funk from the CamCats. “The Lismore has been an incredible and generous partner of the Giving Gala,” said Ellie Siedow, program director of Girls on the Run. “They are an amazing venue that supports the kind of community collaboration that we want to foster, and best of all, they know how to throw a good party!” The downtown location will also allow guests to head to the Lakely or the Informalist for dinner and then walk over to the Gala at the Lismore for a night of dancing. Proceeds from the event will go toward program scholarships for Girls on the Run and Camp Manitou, and support Junior League’s Diaper Bank and Kids in the Kitchen programs. The organizations plan to turn the Giving Gala into an annual event. “We love that we are able to support local musicians at this event and will continue to feature acts from our growing music scene,” Siedow said. “If we can, it would be great to expand our reach and bring in another smaller organization that’s not able to put on a fundraiser on their own. The more the merrier!” To make donating more accessible, the Giving Gala is also offering a special ticket price of $30 for “Emerging Donors” who fall in the age range of 21-35. The Gala is providing this opportunity in the hope of enabling more people in the Chippewa Valley to support great local organizations like Girls on the Run, Junior League, and Camp Manitou.